BOSTON, MA -- The Eastern Hockey League Premier (EHLP) is excited to kick-off our 4th season this afternoon at 1:00pm. The opening weekend of the EHLP season features a pair of home-and-home series, as the Philadelphia Little Flyers take on the Central Penn Panthers and the Philadelphia Jr. Flyers go up against the New Jersey 87s. "It's always an exciting day when you start a new season," said Mark Kumpel, the EHL's Director of Hockey Operations. "I am sure the entire league will be watching this afternoon. The EHLP has been making great strides each and every year, and today's the first step of what we hope to be another milestone campaign." Both Philadelphia teams are home this afternoon, with the puck drop for each game scheduled for 1:00pm. All four teams will take to the ice again tomorrow, as the Panthers host the Little Flyers at 1:00pm, and the 87s host the Jr. Flyers at 3:10pm. 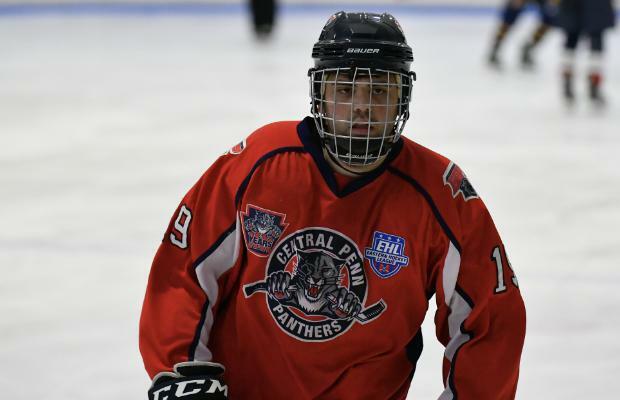 Alex Edelburg is back for his 2nd season with the Panthers, and the '98 will be looking to build off of a 2017-18 season that saw him tally 17 total points to his name.